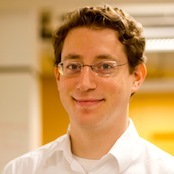 Zach completed his PhD in Physics at Harvard, where he won multiple awards, including Harvard's White Award for Excellence in Teaching, for his undergraduate teaching in Harvard Physics after receiving a near-perfect instructor rating based on student feedback. He has published papers in neuroscience, biophysics, and biotechnology, and is the recipient of the Hertz Fellowship, as well as the Biophysical Society's Student Research Achievement Award. He attended MIT, where he majored in Physics and Biology, with minors in Chemistry and Mathematics, and graduated Phi Beta Kappa. 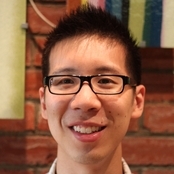 Kenny is a software engineer with experience in creating performant technical infrastructure. He previously worked at Athena Capital Research as one of the lead engineers on a platform designed for high-frequency trading. At MIT, he majored in Computer Science and Management Science. 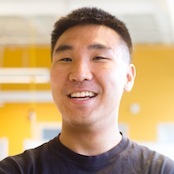 As a former member of the Singapore-MIT GAMBIT Game Lab, he's worked on projects involving innovative technologies and concepts, such as Ochos Locos, a card game for the OLPC with its own modifiable engine, and Oozerts, a game for the Nintendo DS designed to teach the concept of fractions to middle-school students. John is a software engineer with a background in artificial intelligence and data mining. As a Senior Software Engineer at Google, he led the data extraction team on experimental projects to mine knowledge from the open Web and push the boundaries of open-domain question answering. 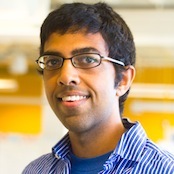 He studied Physics and Computer Science at MIT and completed his Masters in Computer Science and Engineering at MIT, where he published papers in machine learning and AI and his thesis won MIT-wide and international awards. Vivek completed his PhD in low energy physics at Harvard, where he studied robust approaches to quantum computation. He is currently a postdoctoral fellow at Harvard, where he uses optical tools to study learning and memory in individual neurons. In 2006 he graduated Phi Beta Kappa from MIT, where he majored in Physics and Electrical Engineering with minors in Mathematics and Economics. He has taught electromagnetism and quantum mechanics at both MIT and Harvard, for which he has earned teaching distinctions.